A new study from credit firm Equifax says seniors are increasing their debt loads at a much faster pace than the population at large, something that's sure to lead to problems down the line as their incomes aren't likely to keep pace. 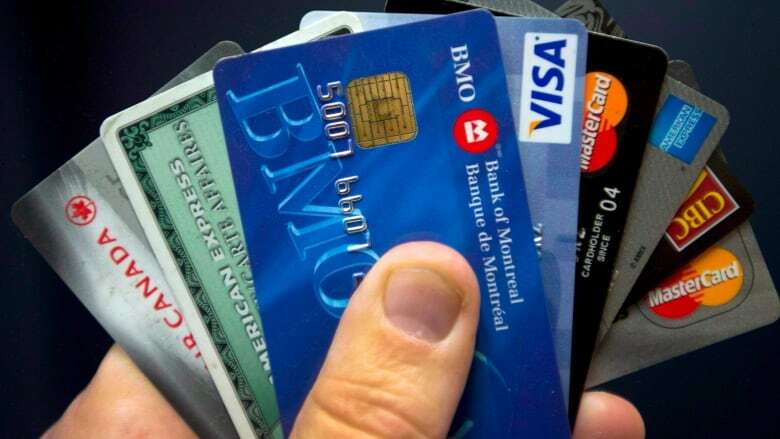 The Equifax report released Tuesday calculated that Canadians owed a total of $1.568 trillion in consumer debt, including mortgages, in the second quarter. Consumer debt excluding mortgages amounts to $21,164 per adult Canadian, a figure that has risen two per cent in the past year. But people over the age of 65 are taking on more debt at a much faster pace than the population at large. Seniors, who Equifax defines as those aged 65 and older, increased their debt loads by 4.9 per cent in the second quarter of this year, which ended in June. Regina Malina, a senior director of insights at the credit firm, said the average Canadian senior owed just under $15,000 at the end of June, the company's data shows. That figure wouldn't include any mortgage debt, but rather just represents debt on top of anything they owe on their homes. "We have been observing that this segment has been increasing debt for a while now ... because it's unusual to see seniors increasing their debt loads," Malina said in an interview. "Seniors of today are behaving slightly different than the seniors of yesterday," she said, adding that she suspects a lot of that consumer debt stems from having to help adult children or other family members with their own financial hardships. Seniors today are, by and large, also staying in the workforce later than usual. But increasing debt in one's senior years is a troubling sign as most seniors can't count on a higher income in their retirement than they saw in their working lives. "I'm curious to see if this is a trend for the next few quarters," she said. "Their income level is certainly not increasing so this segment increasing their debt level is certainly concerning." And although it remains low in absolute terms, there are some small signs that seniors are having trouble paying off all that new debt. Equifax considers people who are 90 days or more behind on their bills to be severely delinquent, and by that metric, the delinquency rate for Canadians aged 65 and up rose for the first time since 2010. The rate increased by 2.4 per cent during the quarter. It went down for all other demographic groups. Delinquencies are generally a lagging indicator of economic fortunes, as they don't tend to happen until the person has already fallen behind due to an event that's already happened. "I hope this is not a pattern and just a fluke," Malina said, "and that delinquencies come down because their income level is certainly not increasing so this segment increasing their debt level is certainly concerning." Across all age groups, the fastest-growing source of new debt was instalment and car loans, which increased by eight per cent and 3.9 per cent, respectively. Demand for new credit is strongest in the auto sector, and growing everywhere except Quebec. Increase in appetite for credit slowed down in the western region and decreased in the eastern provinces. And there's encouraging news out of Alberta that consumers in the province are tightening their belts. While the average consumer debt load in Alberta sits at $27,313, the highest level in the country, that figure actually declined by 0.1 per cent during the past year, Equifax said. Alberta is the only province in Canada where debt loads decreased, the credit firm noted. "We're starting to see the impact of low oil prices in the West as these prices are forcing a new reality on Alberta and Saskatchewan in particular. In these two provinces the debt levels are stable, but the delinquency rate has started to increase," Malina said.